Product #60505 | SKU MKBFRTA4BM-BH | 0.0 (no ratings yet) Thanks for your rating! Dedicated to advanced hobbyist photographers who always want maximum performance, including when they’re travelling. 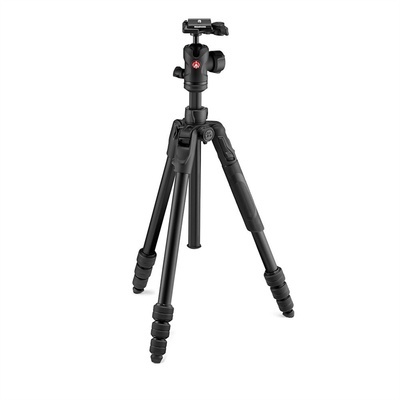 The Manfrotto Befree Advanced Nerissimo Travel Tripod twist is a special version of the Manfrotto flagship aluminium travel tripod, dedicated to advanced hobbyist photographers who always want maximum performance, including when they’re travelling. If you have an eye for design and details, this special version with black matte finishing makes this travel tripod even more unusual and distinctive, highlighting its performing DNA. All aluminium parts are painted with a special unique finishing which gives a modern and sporty look and also avoids light reflections under the daylight, an issue which can sometimes be annoying when shooting outdoors.